Thank you. Bless you. Yesterday you showed everyone that DC is not just a super city, but a super NICE city, too. We love you, Greater Washington. 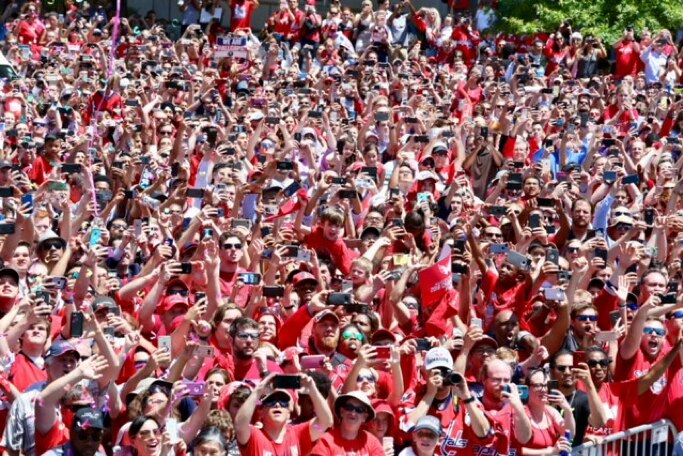 Thank you for celebrating the Washington Capitals’ Stanley Cup Championship parade in the most positive, fun, loud, raucous, heartwarming, safe and secure way. And we couldn’t have asked for better weather, either. We had not one single reported negative incident yesterday. Not one arrest. Not one major medical emergency. In a crowd of that size, that is truly unbelievable. What a testament to all of you. To all of our friends and family, and our diverse, loving fan community: we shared a huge, once-in-a-lifetime, collective warm embrace. Positive vibes with positive pixels -- you represented the best of DC to the entire world. We are forever grateful. Thank you to Mayor Bowser, Jack Evans, and the entire DC City Council and government for their support. Bless and thank you to all of public agencies who helped keep us safe and make this parade a reality: Mayor Bowser and the Executive Office of the Mayor, Metropolitan Police Department, DC Fire and EMS, United States Park Police, National Park Service, FBI Washington Field Office, DC Department of Public Works, DC Department of Transportation, DC Department of Consumer and Regulatory Affairs, Metro Transit Police Department, Arlington County Police, DC Department of Health, DC Alcoholic Beverage Regulation Administration and the United States Air Force. Your hard work and world class planning, support, and participation showed the world our strength, class, humanity and teamwork. Thank you to the NHL and the Hockey Hall of Fame. The Stanley Cup is truly the most populist trophy in sports. It’s the hardest to earn by players and a franchise and the easiest to share with fans and the community. 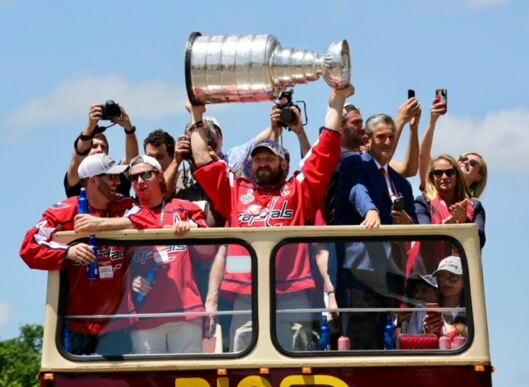 Thank you to our partners at NBC and NBC Sports Washington for the fantastic coverage of the parade -- and all things Caps-related throughout the year. Thank you to all of our associates, employees, union workers, and management at Monumental Sports & Entertainment. We met our higher calling of creating life-long positive memories for our community. Bravo. Thank you to our partners and sponsors for believing in us. Your faith and investment generated positive and great returns. I have always believed that nothing brings a community closer together than a championship winning team. And I have always wanted to build a team as great as our fan base. I have always wanted our team to win a Stanley Cup for this community. We have the world’s best fans and now we can say we have the world’s best hockey team. Thank you to all of our players, coaches, front office and employees at the Washington Capitals. You have the ultimate clarity now” you are the best in the world at what you do. To my partners and fellow owners, the most diverse ownership group in sports: thank you, bless you, and let’s do it again.